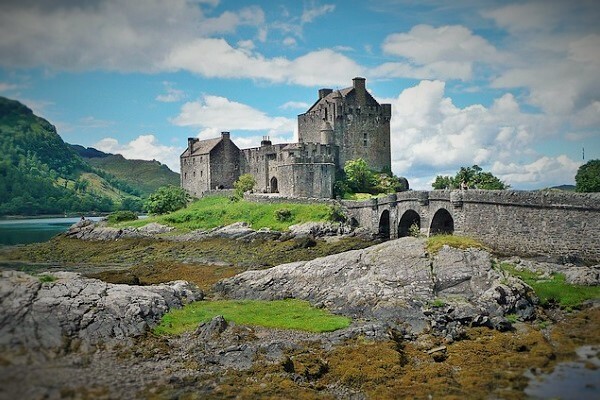 Enjoy a Scottish Islands escorted tour as you journey through majestic Highland scenery and explore Scotland’s remote islands on this comprehensive tour of Scotland. 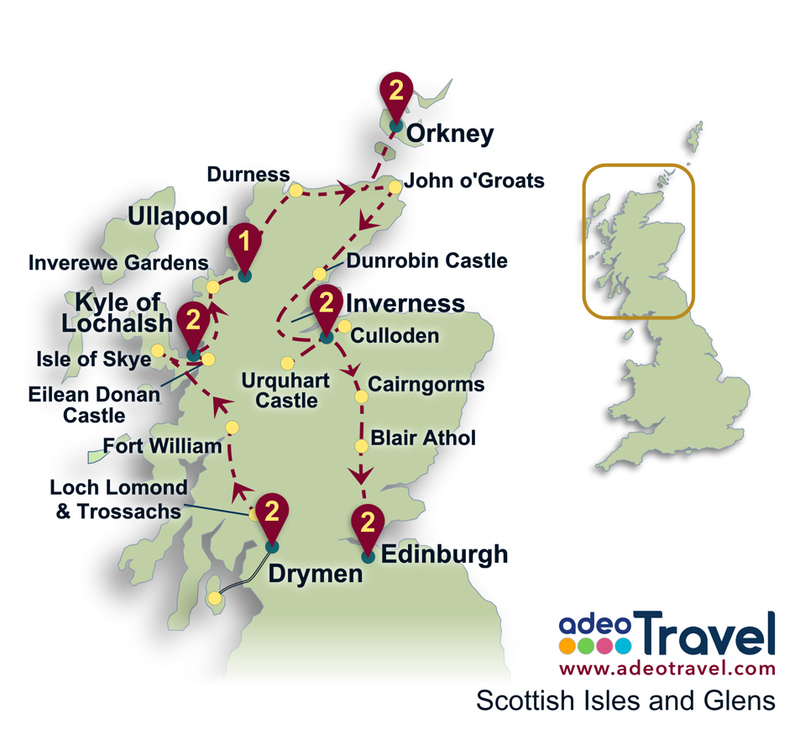 Experience the tranquillity of the Isle of Skye, the undiscovered wilderness of the Isle of Bute, the dramatic landscapes of the Northern Highlands and the ancient pre-history of the Isle of Orkney, not to mention the beautiful city of Edinburgh. Tour feature: Full sightseeing programme - no extra excursion costs! Arrive in the thriving city of Glasgow where your Scottish trip begins. 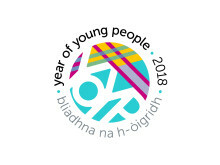 At 3pm meet your tour director at your city centre hotel and set out on an introductory tour of central Glasgow; see the sights of the city from the red sandstone Victorian buildings to green parks, see the imposing Glasgow Cathedral and travel along the banks of the River Clyde, once famous for its shipbuilding industry. By evening join your tour director and fellow travellers for a welcome drink in your hotel. Today, we are headed off to the Isle of Bute via ferry. We will first be taking the scenic highland route and over the mountain pass of “Rest & Be Thankful”. We then visit the opulent Victorian manor at Mount Stuart House, built in the late 1870s for the 3rd Marquess of Bute, an incredibly wealthy coal baron of the era; we discover the highly decorated chambers and many Victorian comforts and innovations of the time. Finally, we spend some time in Rothesay, the main town on the island before returning to the mainland and to your hotel in time for dinner. Leaving the Lowlands, we travel along the "bonny banks" of Loch Lomond, renowned for its unsurpassed beauty then through the deep valley of Glen Coe, notorious for the Campbell massacre of the Clan Macdonald in 1692. We pass through port town of Fort William before continuing north to visit the romantic Eilean Donan Castle; constructed at the meeting point of three lochs and with parts dating back to the 13th century it is an undoubted icon of Scotland. Check in to your charming family-owned hotel near Kyle of Lochalsh. 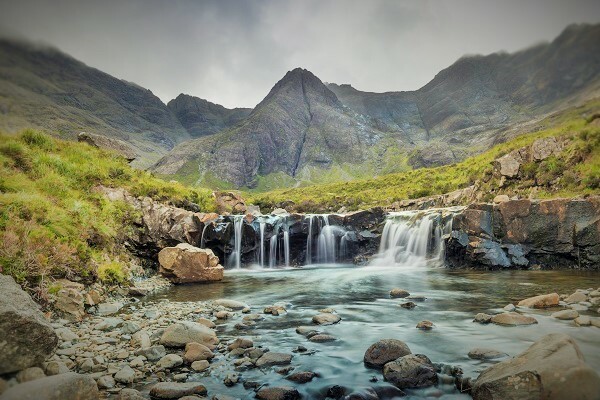 Today is dedicated to exploring the majestic Isle of Skye; first we uncover its strong connections with Bonnie Prince Charlie who fled to the island after his defeat at Culloden Moor. We'll visit Dunvegan Castle, stronghold of the Chiefs of MacLeod for nearly 800 years and the oldest continuously inhabited castle in Scotland. View priceless family heirlooms and stroll through the elegant formal gardens. Later we stop in the isle's main town of Portree to see the brightly-painted houses that cluster around the harbour. Return to your hotel for free time before dinner. Today we enjoy a journey of spectacular highland scenery as we make our way north along the west coast to visit Inverewe Gardens. Created in the 1800s, Inverewe spans more than 50 acres and is set on a remote headland; the gardens provide a lush sub-tropical oasis of diverse trees and shrubs which thrive due to the warm currents of the Gulf-Stream, and which contrast dramatically with the surrounding rugged highland landscapes. 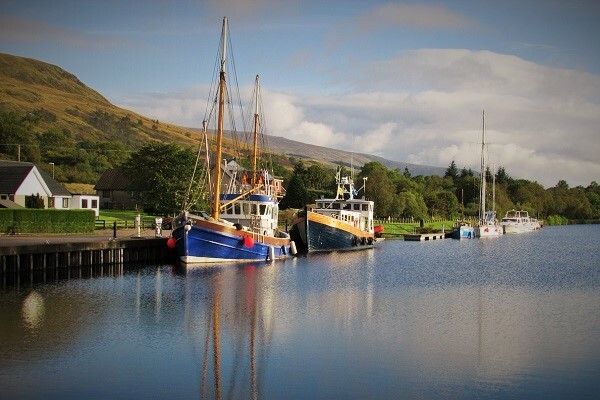 Later we continue to Ullapool, a charming fishing and ferry port perched high on the far north-west coast; we enjoy a brief drive around the town before checking-in to your hotel. Our exploration of the far northern Highlands continues as we journey through one of Scotland's most sparsely-populated regions; see barren landscapes of bog tracts, moors, heather-strewn hills, rugged mountains and dramatic coastline. We learn about the Highland Clearances, a tragic period of history when many peasants were forced off the land and emigrated to the USA, Australia and elsewhere. 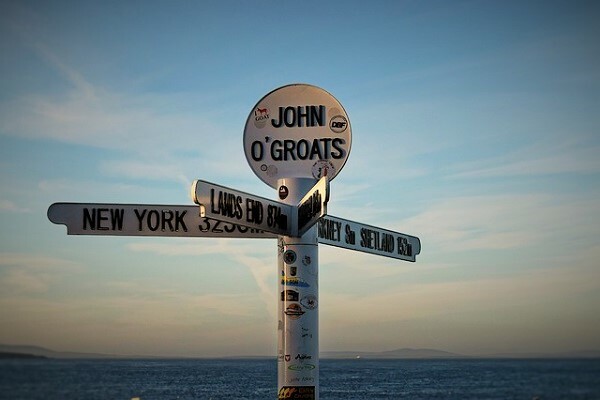 We continue to John O' Groats the most northerly point on the British mainland before taking the nearby ferry to Orkney - we enjoy our evening meal as we travel on board the ferry. 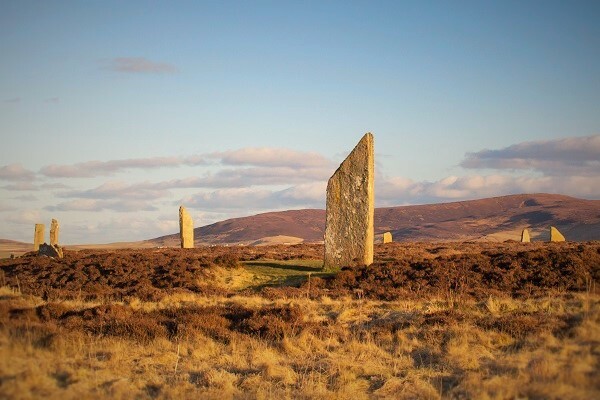 Today we discover the enchanting Isle of Orkney and a host of historic and pre-historic sites. Firstly, we cross the Churchill Barriers, created during World War II to deter German submarines and see the Italian Chapel constructed by Italian prisoners of war. Then we make our way to the fascinating Skara Brae an excavated village dating back more than a 5,000 years and view the stunning Ring of Brodgar, a circle of prehistoric standing stones pre-dating Stonehenge. By afternoon we return to Kirkwall to see 12th century St. Magnus Cathedral and enjoy some free-time and evening at leisure to dine independently. Returning by ferry to the Scottish mainland we make our way South through the remote landscapes of Caithness with views of off-shore sea-stacks and coastal cliffs. We visit Dunrobin Castle, a stately house, whose elegant, turreted structure resembles a glorious French Chatueau; wander the stunning interiors of the house including the dining room, music room and library each housing an array of priceless artefacts and view the beautiful manicured gardens. 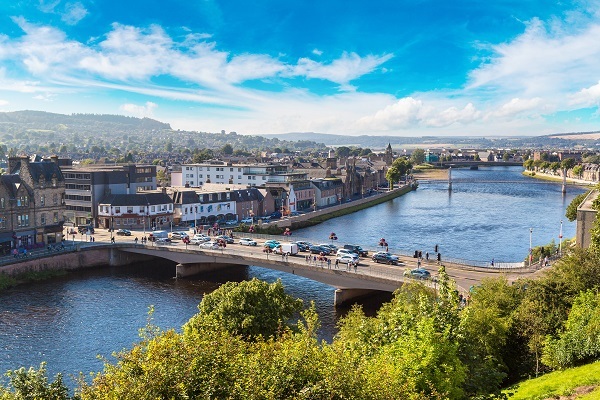 Later we continue south to our hotel in the heart of Inverness, Capital of the Highlands. 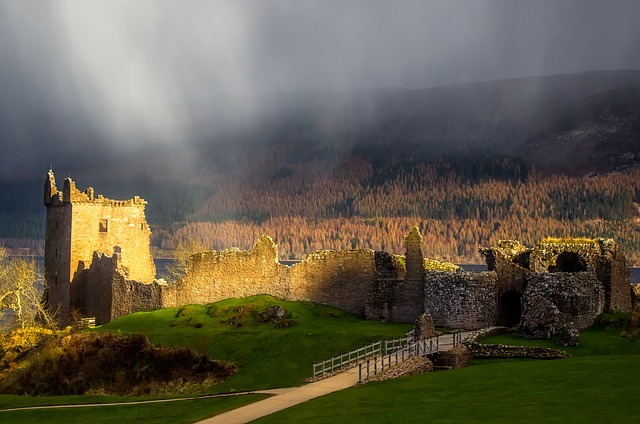 Enjoy a cruise on Loch Ness to visit the picturesque ruins of Urquhart Castle; once Scotland's largest castle it was mostly destroyed in the Jacobite wars but today offers a perfect look-out point for Nessie. Later we stop at the Culloden Battlefield Visitor Centre to learn about the conflict where Bonnie Prince Charlie was defeated in 1746; walk around the moor and see monuments to the various regiments who lost men during the battle. Later, we return to Inverness for free-time for a stroll along the River Ness before dinner at your hotel. Making our way South we pass through the heart of the Cairngorm Mountains to Leault Farm where we see traditional farming methods first-hand as the farmer and his dogs herd their flocks of sheep in a demonstration of skill. We then pass south to Pitlochry to visit Blair Athol Distillery, Scotland's smallest, which is set in a picturesque location outside the town; we see how whisky is distilled and enjoy a tasting a wee dram at the end of the tour. Later we make our way to Edinburgh, the Scottish capital for an evening at leisure. This morning, discover Edinburgh on a sightseeing tour; we see the wide streets and elegant mansions of the 200-year-old Georgian "New Town" and walk along part of the Royal Mile, the oldest part of the city where rambling, medieval houses reach 11 storeys tall. 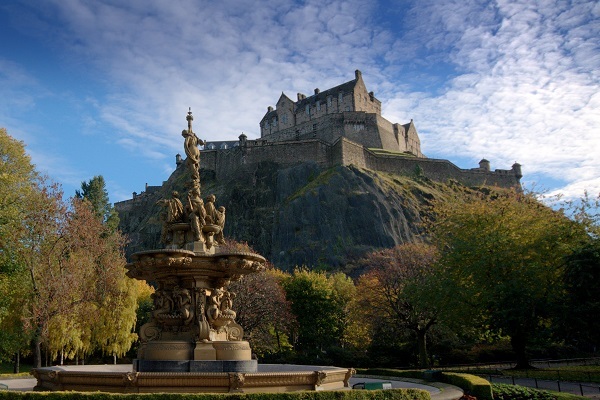 We end our tour at the imposing Castle where we gain panoramic city views and can wander the historic buildings to see the Stone of Destiny and the Scottish Crown Jewels. tonight we enjoy a traditional Scottish evening of typical dance, entertainment and cuisine. On departures from July 27 to August 12 we'll enjoy the Royal Edinburgh Military Tattoo which takes place on the Castle esplanade. Today our programme ends after taking a leisurely breakfast at the hotel. You are then free to return to the airport for a return flight to your home nation, to continue to explore Edinburgh independently or to make your way to the nearby railway station to embark on your onward travel within Scotland or England. Enjoy a Scottish evening in Edinburgh or the Military Tattoo (selected departures). This tour includes a complete sightseeing programme - there are no unexpected costs for extra excursions during your tour! Pre or post tour hotel accommodation in Glasgow or Edinburgh. Rail travel to Glasgow prior to your tour (from any other Britain destination). Onward rail travel from Edinburgh after your tour. Prices are in British Pounds Sterling (GBP£) for approximate costs in other currencies please contact us. 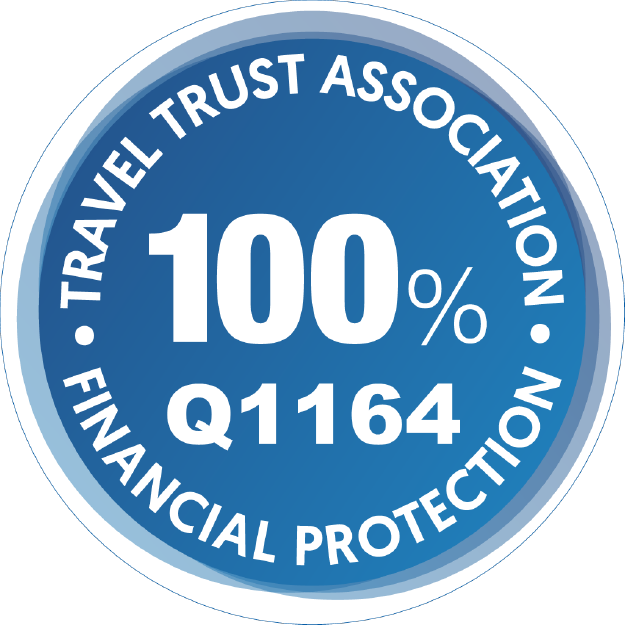 All trip details are correct at time of publishing to website however are subject to change.